The winning photo at CASESMC. There were a flurry of tweets from last week’s Social Media and Community conference, so here are two Storify recaps that highlight takeaways, resources—and, of course, a few cat pictures. Be sure to check out takeaways from the fifth annual Social Media Survey conducted by CASE, mStoner and Huron Consulting. 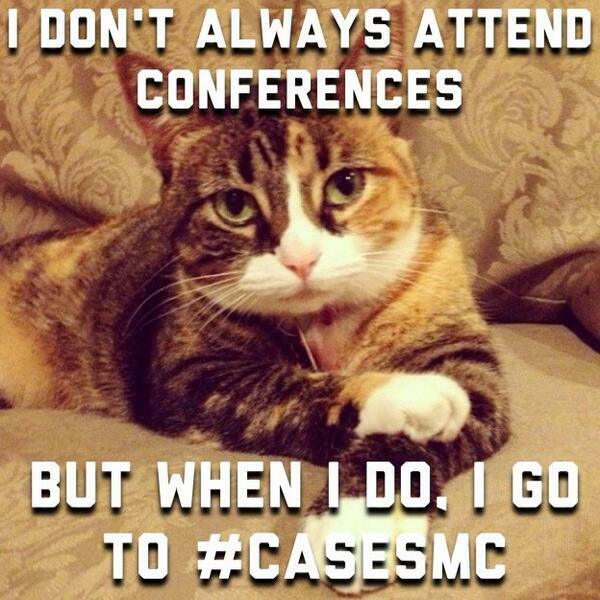 Lastly, we’ll be holding a #CASESMC Twitter chat from 2-3 p.m. tomorrow to share conference takeaways. And here’s a schedule of future chats. Hope to see you there!